Through our Global Communities program, Accountability Counsel assisted the Panamanian organization Environmental Alliance for Integral Development – United for Panama (AAPRODIUPA for its initials in Spanish) in their struggle for accountability for a project slated to destroy a major Panamanian river. AAPRODIUPA is an umbrella organization representing sixteen local groups who came together to demand accountability from the International Finance Corporation and the Inter-American Development Bank. Accountability Counsel worked directly with AAPRODIUPA and one of its member organizations, FUNDICCEP. In early 2010, the organizations comprising AAPRODIUPA filed complaints regarding the Pando-Monte Lirio Hydroelectric Energy Project, which threatens the Chiriquí Viejo River and the surrounding communities. We assisted AAPRODIUPA as they navigated use of the International Finance Corporation’s Compliance Advisor Ombudsman (CAO) and the Inter-American Development Bank’s Independent Consultation and Investigation Mechanism (MICI). While the MICI process resulted in a strong compliance investigation showing violations of IDB policy and an action plan that the IDB’s board required of IDB management, the CAO refused to conduct a full audit when presented with the same evidence of non-compliance of IFC policy. Accountability Counsel began working on the case in late 2011, after the company had refused to participate in the problem solving process and the communities were awaiting compliance results. We assisted the communities with their follow up to the MICI’s compliance findings and the CAO’s remarkable February 2012 decision not to complete a full audit. The project involves construction of two hydroelectric dams along the Chiriquí Viejo River in Western Panama that will divert and remove access to 90 percent of the river’s water for a stretch of about 26 kilometers. 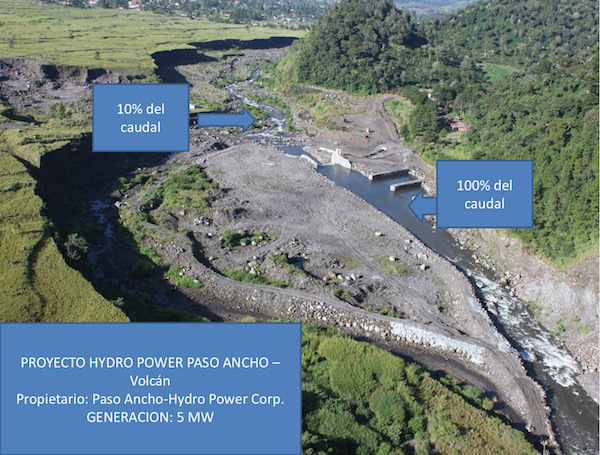 The Pando and Monte Lirio dams are two of a series of 27 hydroelectric installations planned or already under construction on the Chiriquí Viejo River. The project is being developed by the Panamanian company Electron Investment S.A. (EISA) with funding from both the Inter-American Development Bank (IDB) and the International Finance Corporation (IFC). The total project cost is estimated at $291.7 million. The complaints raised concerns about the project’s potential environmental and social impacts, and the cumulative impacts of all hydroelectric dam projects on the Chiriquí River Basin. Key concerns were the failure to study how much water was necessary to maintain the life of the river, its “ecological flow,” the lack of an adequate cumulative impact assessment and the absence of a watershed-wide management plan. Related concerns included limited access to water downstream, sedimentation resulting in lower water quality, greater risks of flooding, damage to roadways, harm to local economies, destruction of forests, harm to local fish and other species and the lack of participatory consultation with the communities. The AAPRODIUPA’s asked the CAO to reconsider its decsion not to conduct an audit, but their request was denied. In contrast, MICI conducted a full investigation, publicly releasing its audit report, which found numerous significant policy violations by the IDB. The audit confirmed the IDB approved the loan despite knowledge that the project fails to adequately address the risk that, together with 25 other dams in construction or planned for the Chiriquí Viejo River, it would transform the river into a series of isolated pools. The report documents that the company repeatedly missed deadlines to complete required environmental impact studies and commit to adequate harm prevention measures. 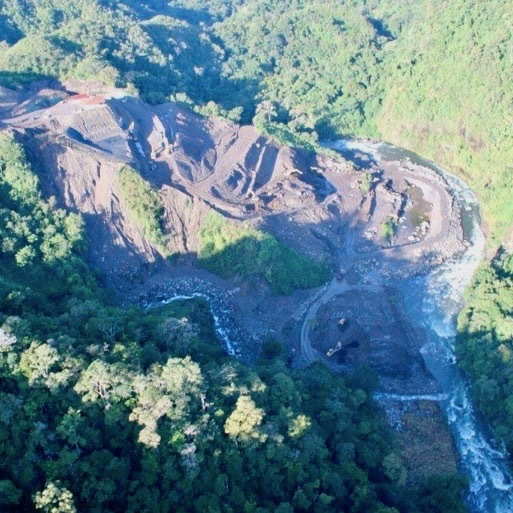 AAPRODIUPA called into question IDB Management’s statement, made in response to the audit report, that “key issues are being resolved in a favorable manner.” There is still no acceptable cumulative impact study and the company has repeatedly missed deadlines to produce the ecological flow study, which represents the single most important risk assessment instrument for the project. The absence of a completed and publicly disseminated ecological flow study and a full assessment of cumulative impacts have so far prevented the project from adequately considering or adopting the appropriate mitigation options. The IDB board responded to MICI’s findings by requiring that an action plan addressing policy violations be created. The board the asked that the IDB’s project team report back prior to any further disbursements of funds for the project. Environmental Alliance for Integral Development – United for Panama (AAPRODIUPA): an alliance of 16 local groups demanding accountability from the IFC and the IDB. Bank Information Center: a nonprofit organization that partners with civil society to promote social and economic justice and ecological sustainability in developing countries. 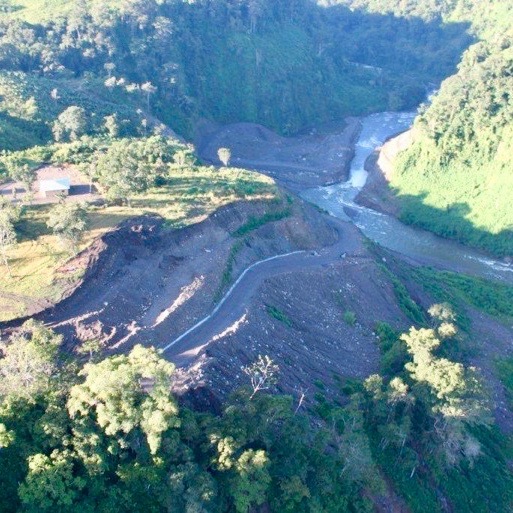 AAPRODIUPA, the Bank Information Center (BIC) and Accountability Counsel published a joint press release urging the IDB to show leadership by conditioning any further loan disbursements on completion of key environmental studies, implementation of a watershed-wide management plan and verification that changes to the project will safeguard the Chiriquí Viejo River. MICI conducted a full investigation, publicly releasing its audit report, which found numerous significant policy violations by the IDB, in September 2012. The CAO denied AARPODIUPA’s request to reconsider the decision not to fully audit the project. AAPRODIUPA sent a letter (Spanish only) to the CAO’s Vice President, Meg Taylor, protesting the CAO’s decision to not complete an audit, pointing out the CAO’s flawed reasoning and failure to address most of their concerns. The CAO decided not to complete a full audit on the project. Initial stages of construction of the IDB-funded hydroelectric dam.